In the real world, the Moon is spherical. It doesn’t emit its own light; it gets its light from the Sun. The Moon is tidally locked, causing one side of it to be permanently turned towards the Earth. The lunar phase occurs because of the change in the position of Sun-Earth-Moon with respect to each other. Any flat-Earth model fails to explain many Moon-related phenomena. Flat-Earthers who insist on defending their misguided flat-Earth concept at all costs are forced to invent many “explanations” on how Moon-related events might happen on a flat-Earth. 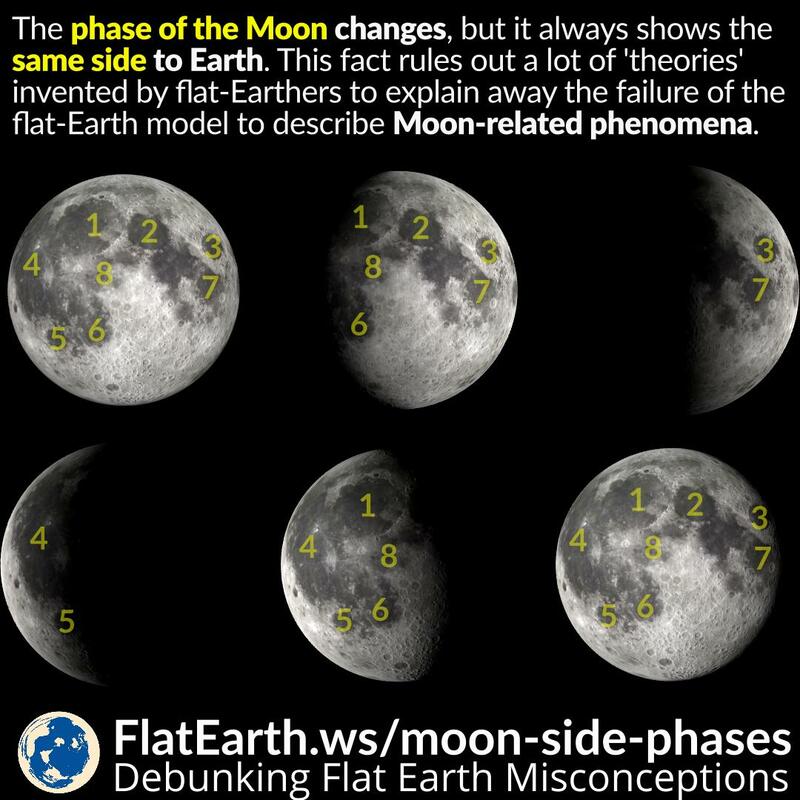 Simple observation tells us that we always see the same side of the Moon, but the phase changes in a month-long cycle. 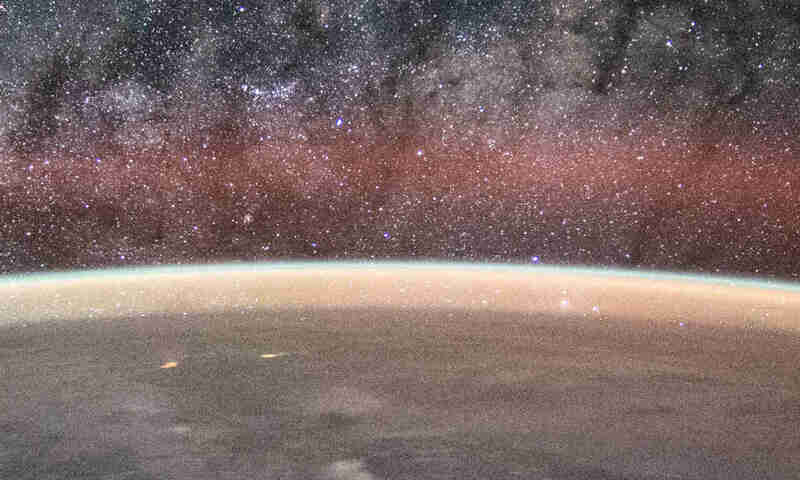 These facts rule out the majority of the “explanations” invented out of thin air by flat-Earthers, including the “Moon emits its own light”, “half-sphere Moon” and the “transparent Moon” explanations.